Once your Mobile App is out from the oven, the next step is to garnish it, before it gets cold. Intelligent marketing is the right word for garnishing in the business world. What do we mean by Mobile App Marketing? The very purpose of marketing is to create an answer to this question. If more and more users find this question answered in their subconscious, your mobile app is a super hit. But it is easily said than done !!! The whole process requires very conscious inputs from the mobile app development team. 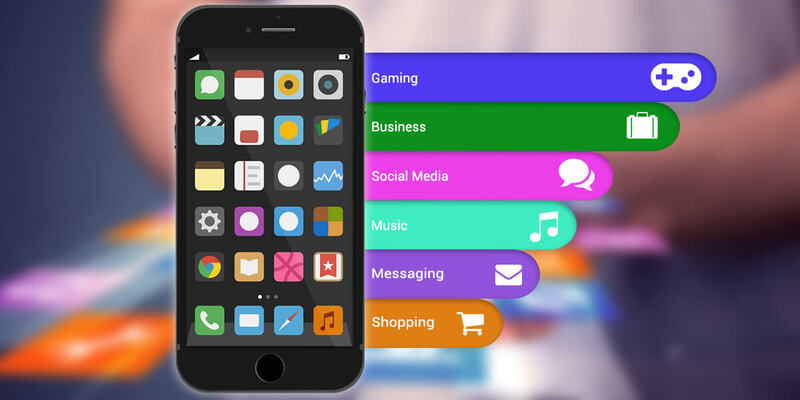 Here are five unique ideas for marketing your Mobile Apps. think of ways to create a build- up for your app. This needs to be done before launching your app. It could be in the form of a short 9-second video, with an element of surprise at the end. Reviews are the assurances that a new user has about your mobile apps quality. The very purpose of marketing is to create an answer to this question. So carefully chart out ways to gather reviews for your app. The app itself can be designed to generate reviews. It can be done through an incentive for review policy. Another innovative means is to time the pop-ups to appear when a user is going through it or using it. Instant rating of apps can also be employed. Guest posting is the most used method. You can write blogs about your mobile app and in return get links to your app. The title of your app is essential. Because the easiest way to market your app is to bring its title in line with the most searched keywords in the favorite App stores. This technique is quite similar to SEO (Search Engine Optimization), the only difference being that here we optimize for App stores. Because, app stores like Google Play Store, GetJar, Apple’s official app store, are the familiar places where users are likely to search for mobile apps. So, research for words that are turning up in the searches often and then go for the title. As you might already know, an App-Landing page is a dedicated page to describe the features of your mobile app. Here the proverb “First impression is the best impression” will be very much applicable. So, the App landing page needs to be designed creatively. It must be simple and at the same time hold the attention of the viewers. Features to download and review the app can be inserted, if needed. Social media can be employed in mobile app marketing for multiple ends. It is the most efficient tool to analyze feedbacks and improve upon the shortcomings continually. Besides you can use it as an awe-inspiring moment. Share your journey with the app and how the idea was born, the challenges and how you overcame it. Who knows maybe your story itself could push users towards the app. There are plenty of other ways to promote your mobile app online. Further, do not forget that marketing is not just for the current market, it should capture the scope of the future too. A good marketing strategy would involve combining the above five or more factors like guest posting, In-app messages, small video ads, etc. Finally, keep evaluating your app’s performance using the retention rate, the rate of active usage, the routes or paths through which your app was available for download. If all goes well, your app will scale great heights in the market. Premjith leads the Digital Marketing team at Aufait Technologies, a top notch SharePoint Solution Provider in India. With his 4 valuable years of experience in online marketing, he helps clients expand their online presence and mushroom novel business ideas.